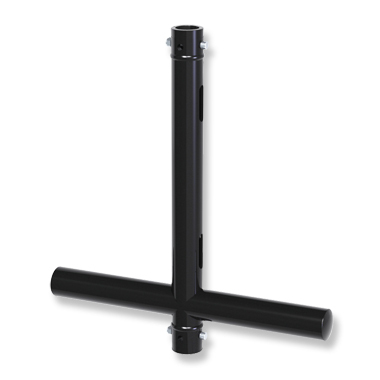 Modular tee's with thru connectors are manufactured from aluminium and fitted with a female tapered connector each end. These tee's can be used to create a ladder frame for a large bank of par cans etc. Slots are provided for safety bonds. Powder painted in silver or satin black.